The musical is enjoying something of a golden age at present, with brand new gems arriving on British stages and screens ranging from Hamilton and The Greatest Showman to Fun Home, Six: The Musical and A Star Is Born. Been So Long is a unique addition to the pack, bringing to life the streets of Camden for a tale of love, resilience and redemption. 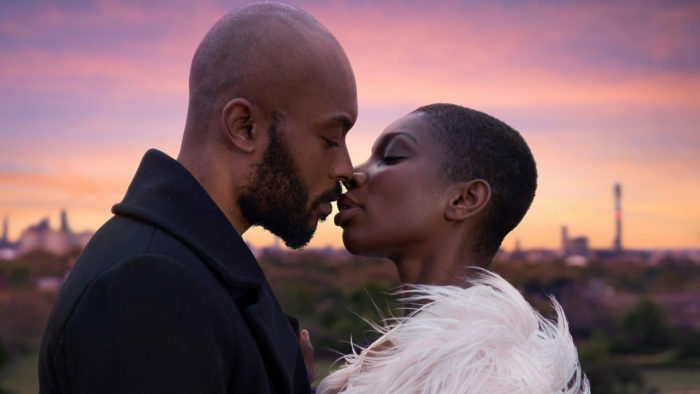 The sensational Michaela Cole plays Simone, a single mum who finds herself in a budding romance with Raymond (Arinzé Kene). 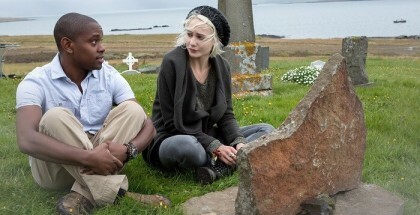 He’s fresh out of prison, and she’s withdrawn from the world to focus on her daughter; together, they start to forge a connection with someone else for the first time in years. Junkhearts director Tinge Krishnan brings their courtship to the screen with a low-fi warmth and ambitious buzz – the scale of the opening number is matched by the vibrant colours and one stunning sequence set on Primrose Hill. While it’s a rare treat to see London portrayed in a gritty, authentic way without losing the city’s upbeat positivity, though, not all of the song and dance numbers work. The cast, however, are earnest enough to sell the emotions behind them. 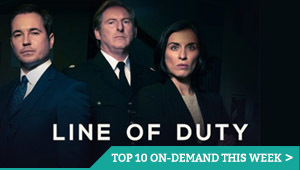 Ronke Adekoluejo is hilarious as Simone’s best friend, Yvonne, while George MacKay rises to the challenge of a part that probably fit in more naturally in Ché Walker’s stage production, on which this is based. The result is uneven (the new song added feels a little awkward alongside Arthur Darvill’s original tracks), but it’s a likeable sophomore feature from a director who continues to impress with her choice of stories and increasingly confident telling of them. A Star Is Born? Absolutely, although not quite in the same way. From Hannibal to a Bond villain, Mads Mikkelsen isn’t exactly known for playing warm, loveable characters – even The Hunt, which featured his most sympathetic role to date, was a tough, intensely painful watch. That pales in comparison, though to Arctic, a survival thriller that goes toe to toe with The Revenant, All Is Lost and The Grey. Mikkelsen plays H Overgard, a survivor of a plane crash who spends his days catching fish, scraping gigantic SOS signs in the ground and looking across the horizon for a chance to use his homemade flare. Director Joe Penna throws endless obstacles at his leading man, establishing a brutal routine of natural hostility that is disrupted only by the discovery of another survivor. Over the course of 90 unbearable minutes, they develop a bond fuelled by the primal human need to stay alive – a relationship that compels, shocks and delights in equal measure, which is all the more impressive given they barely say a word of dialogue. Astonishing visuals, an absorbing soundtrack and a relentless sense of futility combine to make an utterly spellbinding story of (hu)man vs nature, held together by the protagonist’s c’rumbling tower of fortitude. 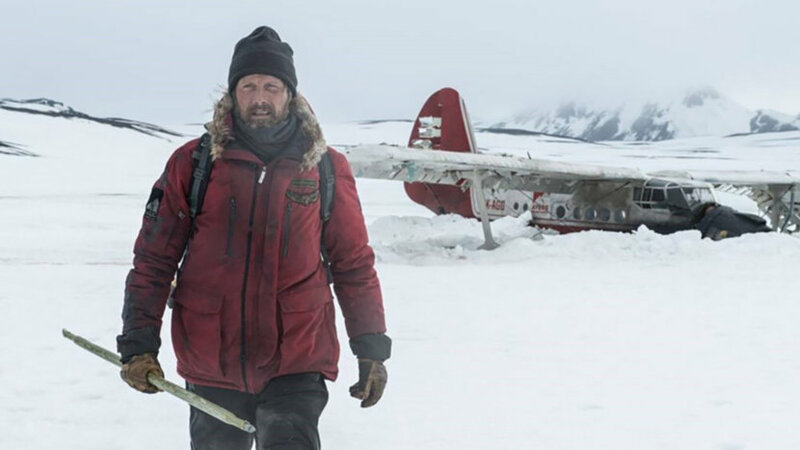 Mads Mikkelsen brings everything he’s got to the tale, and leaves it all out on the ice. Riveting stuff. Arctic will be released in UK cinemas in January 2019. Boots Riley certainly knows how to make an impression. The director’s astonishing comedy manages that rare thing of constantly surprising you – and so what starts out as a likeable tale of Cassius (Lakeith Stanfield) taking a job in a call centre to impress his girlfriend, Detroit (Tessa Thompson), spirals into a caustic satire of modern America. This is a place where putting on a “white person voice” is the only way for a young African-American to find success, where trying to stand up for the disenfranchised results in violence – and as scenes crash into each other, performances slowly descend into farce, and Armie Hammer turns up snorting coke with a self-aware grin, you end up watching, gob-smacked, as one filmmaker’s imagination gallops through the whole thing. Sorry to Bother You will be released in UK cinemas on Friday 7th December 2018. 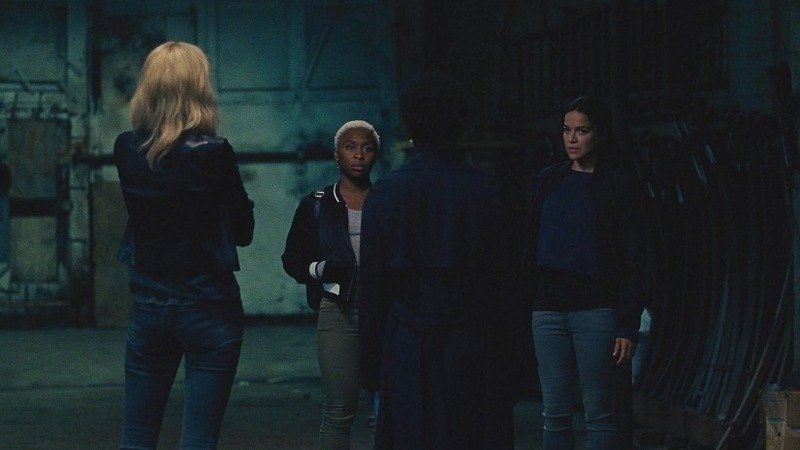 “Why are we doing it?” “Because they don’t think we have the balls to pull it off.” That’s Viola Davis as Veronica in Widows, a thriller that sees four women shrug off that label with an empowering determination. They’re made widows by the death of their spouses in a heist gone wrong, and it’s that incident that opens the film – a gripping, brutal set piece that sets the tone for the whole piece. Steve McQueen commands the action with all the impeccable composition and precise pacing you’d expect from the helmer of Hunger and Shame; a tracking shot back through a van mid-shootout is as powerfully deployed as an understated long take that sees a vehicle drive from the poor side of the town to the wealthier, white neighbourhoods. That mix of sharp set pieces and social awareness turns what might have been Ocean’s Eight into a compellingly complex crime drama, one that tackles nepotism, privileged politicians, corrupt officials and the pull between those looking to rebalance power and representation by legal and illegal means. 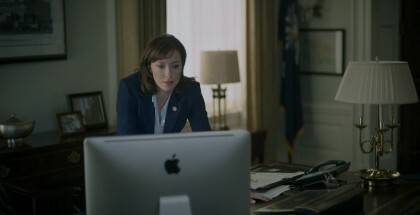 Daniel Kaluuya steals scenes as the violent brother of a criminal trying to go straight – running for office against mayoral candidate Mulligan (a superb Colin Farrelll) – but this is a ladies’ show, and Davis struts through the spotlight with unrelenting confidence, supported by the excellet Michelle Rodriguez, Elizabeth Debicki and Cynthia Erivo. They make this genre piece a real heist flick, grounding the thrills with high stakes, huge emotional impact and serious heft. The fact that they come with an adorable dog sidekick is a bonus. Widows will be released in UK cinemas on Friday 6th November 2018.